When considering the global success of the Zespri kiwifruit brand, one can't overlook the contributions of the New Zealand Institute for Plant and Food Research Ltd. Known for short as Plant and Food Research, this R&D institute operates the world's largest kiwifruit breeding program, and holds the largest Actinidia germplasm outside of China. 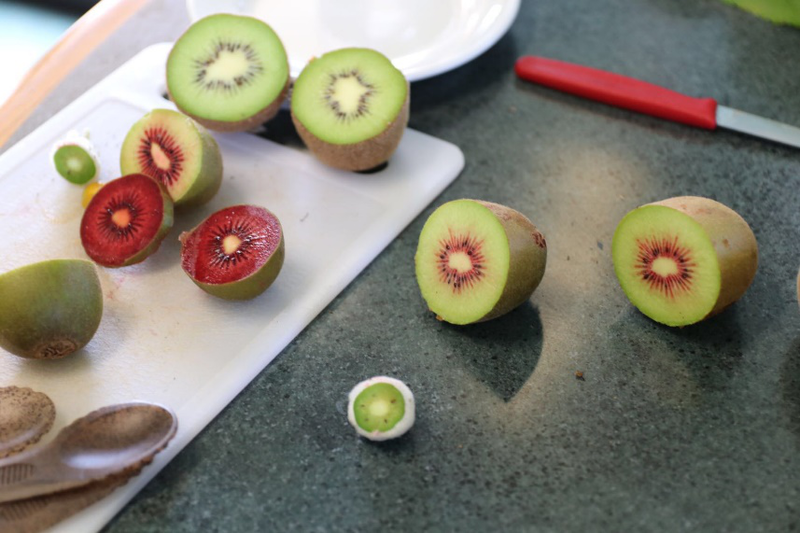 Plant and Food Research is, "the sole research provider to the New Zealand Kiwifruit Research Consortium, jointly funded by the Ministry of Business, Innovation and Employment (MBIE) and ZESPRI® Group Limited," according to a description on its website. Produce Report recently traveled to New Zealand to take a firsthand look at the country's kiwifruit industry. 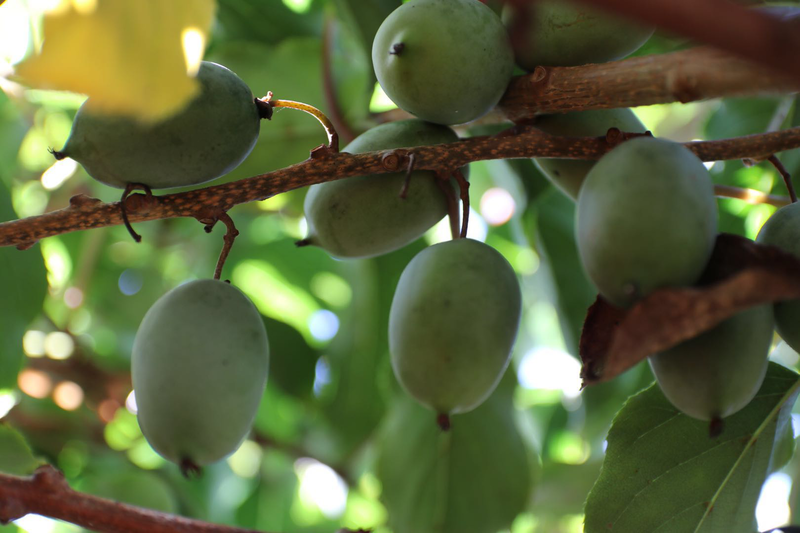 Kiwifruit are New Zealand's top horticultural export, with a value of USD 1.45 billion in 2018. We accepted an invitation to visit Plant & Food Research's breeding and R&D center in Te Puke to see the kiwifruit breeding program up close. There, we saw several kiwifruit cultivars from the breeding program—just a small sample from Plant & Food Research's germplasm, which contains genetics from around 30 Actinidia species. These trial fruit came in all sizes and colors: for example, a fully red-fleshed cultivar, a red-hearted cultivar with green flesh surrounding it, a white-skinned green cultivar with red spots in the flesh, and a "spicy" flavored green cultivar. While most experimental cultivars don't make it past the trial cultivation phase and never see commercial production, the red-hearted fruit we sampled in Te Puke could turn out to be the rare exception, as it is already undergoing trial sales by Zespri. Juanita Dunn of Plant & Food Research told Produce Report that Zespri has four criteria that must be met to a high standard in order to even consider commercializing a new variety: flavor, color, PSA resistance and storability. We also had an opportunity to try three varieties of kiwi berries that Plant & Food research is growing in its research orchard. These bite-sized fruits were excellent, with green flesh, high sweetness, and soft texture. Because kiwi berries are different species than green or yellow and red-hearted kiwifruit, they are not presently allowed to be imported into China. We are looking forward to seeing this fruit on the market and available in China in the future. The case of Zespri SunGold kiwifruit is illustrative of the key role Plant & Food Research has played in the New Zealand kiwifruit industry. This PSA-resistant gold variety, developed as part of Plant & Food Research's breeding program with Zespri, and patented under the variety name "Zesy002", played a pivotal role in saving the industry from ruin after PSA arrived to New Zealand in 2010, leading to large-scale infection. Fast forward to 2019 and global sales of SunGold are set to outpace Zespri Green kiwifruit. "Last season we supplied 76 million trays of Green and 65 million trays of SunGold," said Zespri Chief Grower and Alliances Officer David Courtney. "Our latest estimates indicate we are on track to supply more than 75 million trays of SunGold this season, while Green is expected to be below 75 million trays." 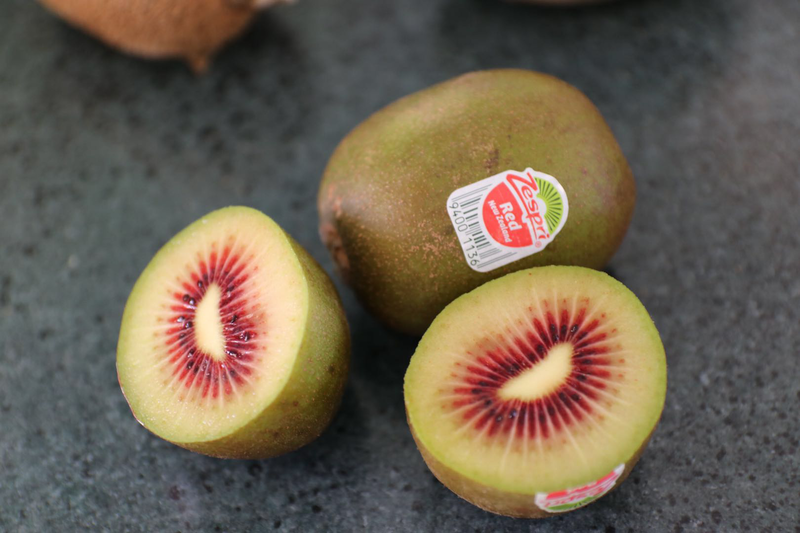 Another important development for the industry: local media in New Zealand recently reported that Zespri would trial 30,000 trays of the aforementioned Plant & Food Research-bred red-hearted kiwifruit in select domestic retail channels during March and April of this year. Like gold varieties, the red-hearted fruit is sweeter than typical green kiwifruit: this should go over well in Asian markets where consumers general like sweeter fruit. The red-hearted variety also has the advantage of being ready to harvest during February, which could help the New Zealand kiwifruit season kick off earlier, as other varieties are not typically available until March. Plant & Food Research as already planted this red-hearted variety all around New Zealand's kiwifruit producing areas, except on the South Island and in Whanganui. It is the second generation of PSA resistant red-hearted kiwifruit that Plant & Food has developed.